- 316L stainless steel for long-term use even in acid-base,humid environment. - IP67 waterproof and dust-proof grade. - Stepper motors used for full range of steeping gauges,great feature with its less power consumption, longer life,higher precision, etc. - There is a snap together with the harness connector, for best and firmly connected , in order that the gauges could work even in strong vibration. - High performance,stable and reliable. - Simple and stronge structure, advanced corrosion resistance. 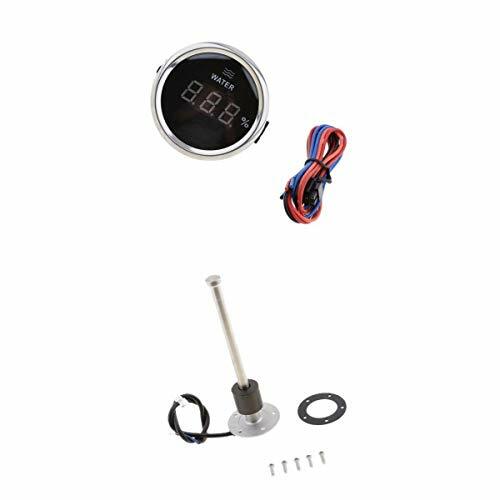 - High quality fuel level sender Economical level sensing solutions. - Suitable for boat, truck, RV, generators/gen set, bus and marine field. Water Level Gauge:316L stainless steel for long-term use even in acid-base,humid environment. IP67 waterproof and dust-proof grade. Stepper motors used for full range of steeping gauges,great feature with its less power consumption, longer life,higher precision, etc. There is a snap together with the harness connector, for best and firmly connected , in order that the gauges could work even in strong vibration.